Two very productive months! Had some time off work, so I got the chance to attend a few events. I also celebrated my 23rd birthday with some of my favourite people. Ended July with Ade’s first #PUSH event. You can catch all the highlights from the event on youtube, and I put together a summary of the event, including some points made by all the speakers – Adzvice #PUSH Event. Going to the Curly Treats Festival was a nice experience, something different to the rest of the events I have been too. I got to see a load of colourful stalls and was introduced to some new black owned businesses. Get an insight into what the Curly Treats Festival was like for me, in my little overview blog post – Curly Treats Festival. I also went to a small event in August – Lucayan Natural Network Club #2 For Bloggers & Brands. An intimate event that had a panel discussing authenticity between brands and influencers. We got to discuss the current increase of influencers and how brands have started to work with more and more influencers in order to build relationships with customers and make sales. I do believe infulencer involvement is necessary, however I do wonder if it can remain genuine when everyone is doing it. Let me know what you think about influencers and brands working together. Not only was I featured on Berns blog, I also had the opportunity to share my thoughts on texture discrimination on Naomi’s website – Lookatmyblackbeauty.com. Her Kinks & Curls documentary shares stories from women within the natural hair community and their thoughts on texture discrimination. I wrote a piece on embracing your natural hair and explained why I think there is an issue with an inaccurate representation of naturals in the natural hair community – There Is More Than One Way To Embrace Your Natural Hair . 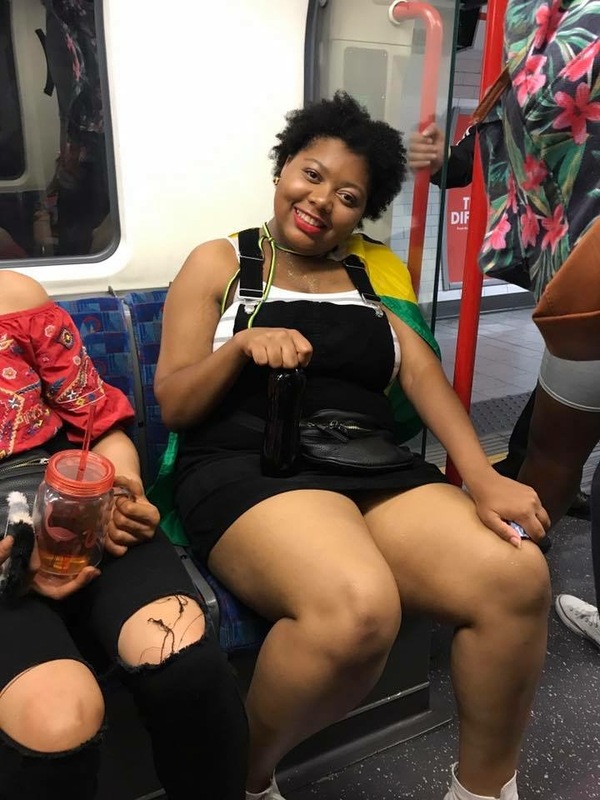 I’ve previously addressed Notting Hill Carnival and the bad reputation it gets every year on my blog – Notting Hill Carnival, “Black on Black Crime” & #BLM. Before carnival even begun there was already talk of pre-carnival arrests and raids. We all saw that ridiculous and rather pathetic tweet from the Met Police account. Every year the media try to demonize the event and the black community. Every year the media tries to get the worlds second largest street event to be cancelled. Myself and hundreds of people look forward to Notting Hill Carnival every year. I only went on Sunday, but I thoroughly enjoyed myself. The smell of smoking BBQs, the sound of music and the sea of carefree black kings and queens. I definitely want to experience the full two day celebration next year. Carnival is a celebration of Caribbean culture, a time where black British individuals can come together to shake a leg and give the wickedest whine. A time for people of all ages and all ethnicities to come together to enjoy the sound of the islands and the sexiest Jerk chicken & rice and peas. Carnival isn’t going anywhere! Deleted my social media apps to give myself a break from the sometimes overwhelming interweb. I thought it would help me clear my mind and help with my concentration. It didn’t work out as planned, It is something I want to do more often. I imagined that the break would improve my mental health, but It just meant that I had to face a lot of the things I tried to push to the back of my mind.